Get ahold of the ultimate Italy itinerary, featuring the most iconic destinations of the country all in one trip! Traverse the main must-sees during panoramic tours, including trendy Milan, romantic Verona and Venice, artistic Florence, and Eternal Rome with local professional guides. Enjoy easy connections and stays at best central 4-star hotels, moreover, the program is fully customizable and can be tailored around your preferences. Welcome to the gorgeous Northern Italy city and the world's fashion capital, Milan! Upon arrival, you are met by your private driver at the airport, who transfers you to the hotel for check-in. Following breakfast, you meet your guide at the hotel lobby and have a 3-hour walking tour of Milan to learn more about the city’s history and reputation as a fashion capital. You start your exploration of Milan at Piazza del Duomo and marvel at the world-known Milan Duomo, the Gothic cathedral and the highest sight in the city which took about six centuries to build. Then you walk through nearby-located Galleria Vittorio Emanuele and reach La Scala Theatre. Prepare to be wowed by the prestigious Milan opera house. You continue to the picturesque Brera district to feel the historical atmosphere of the city. Explore the public areas with stories of its 15th-century owners ringing in your ears. Afterwards, you make a stop at Castello Sforzesco to see history and style combined with Milanese flair. After the tour, you return to your hotel to pick up your luggage and your private driver transfers you to the train station for your train to Verona. Upon arrival in 1,5 hours, your private driver transfers you to your centrally located hotel for check-in and you have the evening at leisure. Following breakfast at the hotel, your private driver transfers you to the train station for your train to Venice. Upon arrival in about 1 hour, you meet your private guide and enjoy a wonderful 3-hour walking city tour of all the must-see places (no entrances). We’ve carefully chosen the stops on this tour to give you a real insight into the city. Among many sights you discover are the iconic St. Mark's Basilica, set on the Piazza San Marco (St. Mark's Square), it is among the best-recognized symbols of Venice. Next on your list is the famous 17th-century Bridge of Sighs or Ponte dei Sospiri; this renown limestone landmark connects the building of the Doge's Palace with the prisons, the bridge was named by Lord Byron. Other places you see today are the Rialto Bridge and Rialto fish market, walk past the quiet streets, peaceful canals and go beyond the areas that visitors usually see. This is where Venice is hiding its best architecture and secret stories – and that’s what we’re out to explore. After the sightseeing tour, you return to the Venice train station by the Vaporetto waterbus to catch your return train to Verona. Upon arrival in 1,5 hours, your private driver transfers you to your hotel and you have the evening at leisure. Following breakfast at your hotel and check-out, you meet your guide at the hotel lobby and enjoy a 2-hour walking city tour of Verona, the city renown worldwide for being the place of action of Shakespeare's "Romeo and Juliet". Verona is a crossroads of history and a mosaic of landscapes: the gentle hills and the sinuous river embrace this checkerboard of streets with its soaring red-brick towers. During the tour, you explore the main highlights of the city, including Piazza Brà, Roman Arena, della Scala castle and famous Scaligero family tombs. Juliet’s house is naturally on the program too! After the tour, you return to your hotel to pick up your luggage and your private driver transfers you to the train station for your train to Florence. Upon arrival in 1,5 hours, your private driver transfers you to your centrally located hotel for check-in and you have the evening at leisure. After breakfast in your hotel, you meet with your private guide and go on a 3-hour walking tour of Florence's highlights (no entrances). 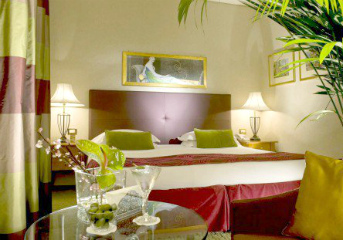 After the tour, you return to your hotel and enjoy an evening at your own leisure. After breakfast and check-out you can explore and enjoy Florence on your own. After breakfast you can do some independent sightseeing, shop for souvenirs or have a good rest. We suggest visiting the Uffizi Gallery, the Pitti Palace or joining one of our carefully planned optional tours. In the afternoon, your private driver meets you at the hotel lobby and transfers you to the station for your train to Rome. Upon arrival in about 1,5 hours, your private driver transfers you to your centrally located hotel for check-in and you have the evening at leisure. After breakfast in your hotel, you meet with your private guide and go on a 3-hour walking tour to discover the famous ancient treasures of the Eternal City. First, you make your way to Rome's hallmark site - the Colosseum. Originally known by the name of Flavius amphitheater, it was the biggest and most imposing building of its kind in the Roman world, designed as an arena for the fights of Roman gladiators and could hold up to 70 thousand spectators. You admire the Colosseum from the outside and have amazing photo opportunities at its ancient walls. Then you proceed with a walking city tour to see the most famous attractions and hidden treasures of the Eternal City. You see the Spanish Steps, the Trevi Fountain, Pantheon, Piazza Navona, the famous Fountain of the Four Rivers, as well as witness the masterpieces by Bernini, Borromini, and many others. Guided day tour to Venice and waterbus ride. Tipping in restaurants is included in the bill, the cover charge is called ”coperto”. A charge from $1 to $3 will be noted on the menu.